There is a new jailbreak in town, and it's called Saigon. Joaquim gives us the low down on this new jailbreak as well as an update about the current jailbreak situation depending on devices and iOS version. The two then discuss tweaks that make your iOS 10 device look like iOS 11, and other jailbreak tweaks. Side note: apologies about the poor sound quality. This shall not happen again. It was a good month for 32-bit devices, and things seem to look up for newer devices. Does that mean we could see a jailbreak soon? 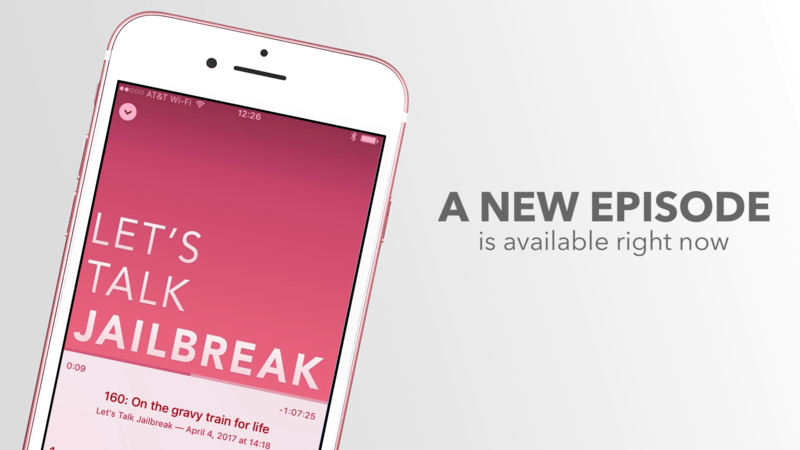 Listen to find out about the latest jailbreak developments as well as new jailbreak tweaks. Are reports of the death of jailbreaking greatly exaggerated? Joaquim and Sebastien discuss the latest in jailbreaking, including new tweaks. For their monthly meet up, Joaquim and Sebastien briefly discuss the latest and greatest of WWDC 2017. The duo then talks about recent development in the jailbreak community including a jailbreak for iPhone 7 on iOS 10.1.1, Extender Installer, CoolBooter, a few jailbreak tweaks, and more. Additional info: Now with Substrate View, Now with support for 10.0.x. Extra_recipe now has preliminary support for iP6s(+?) and iPad Air 2. Not yet compiled by Todesco into .ipa, but GitHub shows support for extra devices coming. Benefits over yalu102? CoolBooter app updated to b9. Thought development was off, now back on, joke? Changes: Better iOS 7 support, fixes some/all bootloops. No update to CLI version yet. If testing, uninstall secondary OS before updating and reinstalling secondary OS. Follow your hosts on Twitter: @SebastienPage, and @horatiohno, Send a tweet to @LTJ_fm if you'd like your question to be answered at the end of next month's episode. Be sure to share your thoughts, comments, and suggestions below. Some big news this month, but can you trust it? Besides discussing the latest iOS 10.3.1 jailbreak rumor, Joaquim and Sebastien talk about recent development in the community, including iDevice ReRestore, CoolBooter, and iPhone 3GS exploit, and more. This month, Joaquim gives a brief update about the status of various jailbreak utilities including Cydia Extender, SemiRestore, and more. Sebastien talks about his encounter with Saurik last month, and the two discuss a bunch of interesting tweaks recently released. 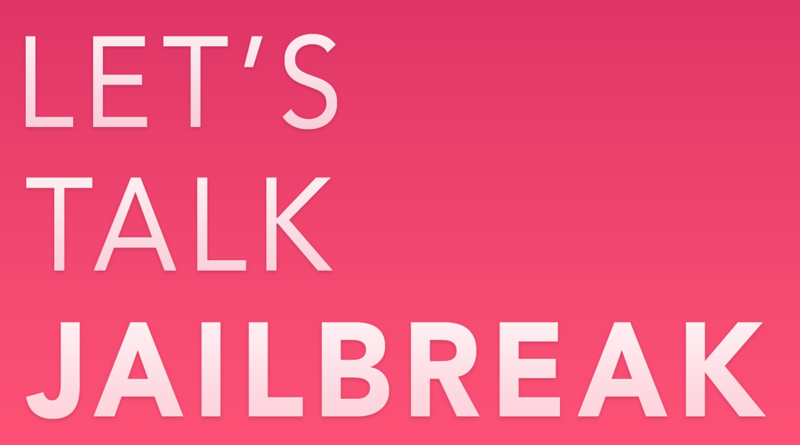 Support Let’s Talk Jailbreak: Please take a couple minutes to help the show by filling out this survey. Follow your hosts on Twitter: @SebastienPage, and @melvco, Send a tweet to @LTJ_fm if you'd like your question to be answered at the end of next month's episode. Be sure to share your thoughts, comments, and suggestions below. In this month's episode, the guys discuss a potential solution for Yalu's 7-day signing restriction, a recent Cydia update, and Joaquim's trifecta of monster posts about Prometheus. Of course, the pair also talks about LiberTV, the new jailbreak for Apple TV. Finally, they go through a list of some of the best jailbreak tweaks released in the past month. Support Let’s Talk iOS: Visit our Deals Store and buy something from us. Follow your hosts on Twitter: @SebastienPage, and @horatiohno, Send a tweet to @LTJ_fm if you’d like your question to be answered at the end of next month’s episode. Be sure to share your thoughts, comments, and suggestions below. As Joe becomes a regular of the show, the guys discuss the latest developments in the jailbreaking community, and specifically focus on the Yalu jailbreak for iOS 10.2. What devices are supported? Is it safe to use? What is the process? Many questions are being answered to help listeners figure out whether or not they can go forward with the jailbreak. Other topics include a recently released iOS 9 jailbreak for 32-bit devices, and Apple TV jailbreak news. A lot has happened in the jailbreak community since the last episode, and this month, we have a special co-host as iDB's latest recruit Joaquim Barbosa joins Sebastien to discuss the new iOS 10 jailbreak that was recently released, the Cydia beta that goes with it, and a new downgrade/upgrade tool called Prometheus. This episode goes pretty deep in the nitty gritty details of each tool.